You bought the diet book. You read it from cover to cover. You went to the supermarket and loaded up on the good foods. And for x weeks, you did everything Mr. or Mrs. Diet Guru told you to do. And it worked…until it stopped working. And how do we get your weight loss back on track? Let’s begin by taking a look at my top 10 ways to screw up your diet. By 2012, the weight loss industry is projected to swell to $2 trillion dollars. Isn’t it possible, that in their quest for an even larger share of that low-fat pie, weight loss companies might be tempted to over-exaggerate their claims? Food manufacturers manipulate food labels. Choose real food over processed meals. Based upon my own unofficial experiments, your cardio machine is overestimating your calories burned by about 50%. Adjust your workout. For a diet book to be successful, it needs to guarantee success and be easy to understand. Impossible. You are an individual. The general public is made up of individuals. We wear different clothes. We drive different cars. We have different metabolisms, different dietary preferences, different families, different jobs, etc… Don’t expect a diet book written for the general public to fit seamlessly into your life. Like a piece of “off the rack” clothing, you will need to make some alterations for it to fit perfectly. There is a big difference between what you think you eat and what you actually shove down your pie-hole. The action of putting pen to paper and recording your food intake has a powerful effect on your actions. Without the food log, it’s way too easy to forget those little diet cheats. 1500 calories of junk food is not the same as 1500 calories of healthy food. Weight loss is not linear. there are going to be ups and downs. The level of fluid in your body is different from one day to the next. Your weight is going to be different from one day to the next. It might shift a little and it might shift more than a little. When it comes to the scale, ignore the day to day. Or at least don’t get freaked out by the little ups and downs. Some diets use a cheat meal / cheat day / cheat weekend as a tool to re-set your fat burning hormones. The idea is that by temporarily increasing calories or carbs, your body won’t shift into starvation mode and cause a decrease in metabolism and fat loss. Personally, I think it’s a useful dieting strategy. The problem is that dieters sometimes lose control and their cheat meal ends up becoming an excuse to pig out. Treat the cheat meal with respect. Next Page – 5 more ways to screw up your diet…. Next postWhat can Brown Fat Do for You? Another way to screw up your diet is to think walking is all it takes to lose weight. The reality is that you need to put some effort into intense exercise if you really want to burn fat. Try interval cardio for 25 minutes, 3 times a week. Another excellent post. The only thing I have to add is on the tiny meals, what I find works is 3 meals a day + 3 mini meals. a meal consisting of a satisfying meal, and a mini meal consisting of for example yogurt and fruit, or a granola bar and fruit, or a slice of bread…The secret is staying satisfied (not stuffed) at all times and never letting yourself get to a point where hunger hits. Loved this post. Thanks DR. These are great tips. 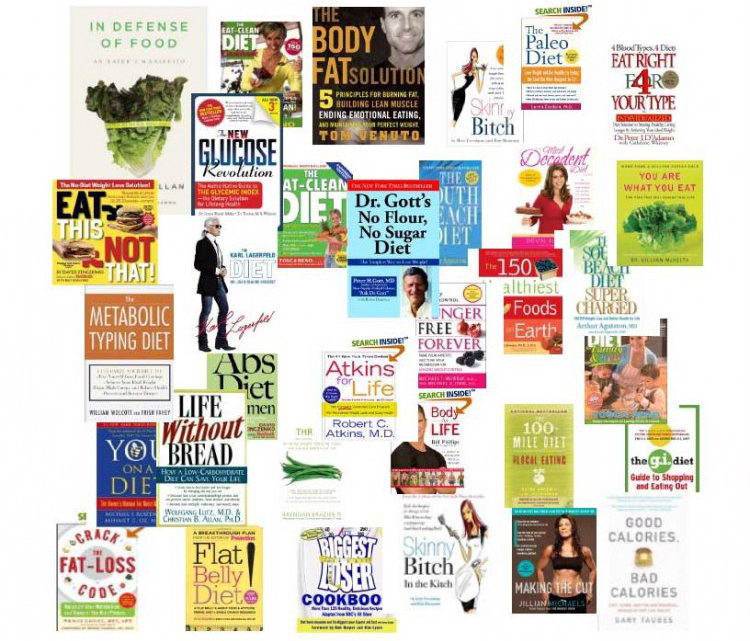 One thing I find with clients is that they buy a ton of diet books and won’t stick to one plan. Also, a lot of people skip breakfast but I find that this is NOT a good idea. Great blog. That’s precisely why we see new crops of diet books rehashing the same old advice. People buy a diet book, try it for a while, quit and then start all over with a new book with different pictures and written by a new diet guru. And i agree with you about breakfast. Great post! So many women fall into these diet traps. Thank you for putting it out there to remind every the basics of healthy habits. “Too few meals”…This is actually not a problem if you can control yourself and eat like a normal human being and not wolf down on the first thing you see when you get home. As for the fat storing hormones and the so called “starvation mode”, that has been proven to be false. It takes more than 72 hours of straight fasting for your metabolism to start slowing down and for you to start using muscle tissue as fuel. Until then your body is using your fat as fuel, the way it was meant to be. Besides, based on our genes, a fast/feast lifestyle fits better. Our primal ancestors didn’t have food readily all the time and it was entirely possible they went days without a full meal. As much as I love poring over research about nutrition & exercise science, in my many, many, many years of personal experience, I have found that research is just a jumping off point and that when research meets “real life”, things don’t always work out like in the studies. In regard to your specific beliefs about fasting and your body’s choice of fuel – fat/carb/muscle, I have read all (or at least most) of the research used by the IF gurus and I have been left very unimpressed. For every study they use to prove the IF theory, we can find dozens of studies that would prove the opposite viewpoint. But, I don’t like to get into those intellectual battles anymore. Both sides don’t listen to the other…they both just try to prove their point by stacking their evidence higher and higher. With all of that being said, I have used IF with a bunch of clients and some have done really well with it. Others, not so much. Their hunger gets the better of them and they end up chowing down like piggies at the trough. And where I used to yell like Jillian Michaels and tell them about self-control and willpower, I have come to realize that all of the trainers who rely on that “get out of jail free” card are doing their clients a disservice. I remember one trainer who kept telling his clients that he was with them for 3 hours a week and that he couldn’t be responsible for what they did with their hours away from him. It drove me crazy. His clients were paying for results, not for 55 min training sessions. he thought that his responsibility ended after the session was over. I believe that the “mental” side of obesity is going to be the next big frontier in the weight loss industry. The best nutrition plans & training programs are useless if they are ignored. wow…sorry for the rant. Don’t know what happened there. Great post! … and so true. Great post! I used to laugh at people who said that they tracked their calories but I now know (from experience) that it is essential to understand what you are putting in to your body. By doing so, along with exercise, I have lost close to 30 lbs and cut my body fat % in half! 1. TRACK everything you put in your body! There are great free options for this on the web. 2. EAT 5-6 meals per day to get your metabolism fired up! 3. Be CONSISTENT with your exercise! Using a diet as a short project to get you into that dress/outfit. A diet is for life, not just for the intrim after Christmas! If you only use a diet to lose weight and don’t eat in a similar fashion after you’ve lost the desired weight, you will gain the weight you lost. The best way to not screw up is to stop dieting for weight loss. Too many people dont eat enough calories which promotes binging later on. This is one of the reasons why diets fail most of the time. One of the best things a person can do for their health is to get rid of the dieting books and to stop restricting. Aim for a mostly whole foods diet and try to get at least thirty minutes of moderate activity a day. Retrain yourself to listen to your body and what it needs. If you are hungry, you should eat something. And dont do it as a chore to get to the next size down, but for lower health risks. Or even better yet, because it will make you feel great and more energized. Do not forget thinking that it will all disappear in just 5, 10, 15 days. This is your life-long project. No quick fix. I could agree with just about everything on that list. Don’t eat your greens would be the other one I add.